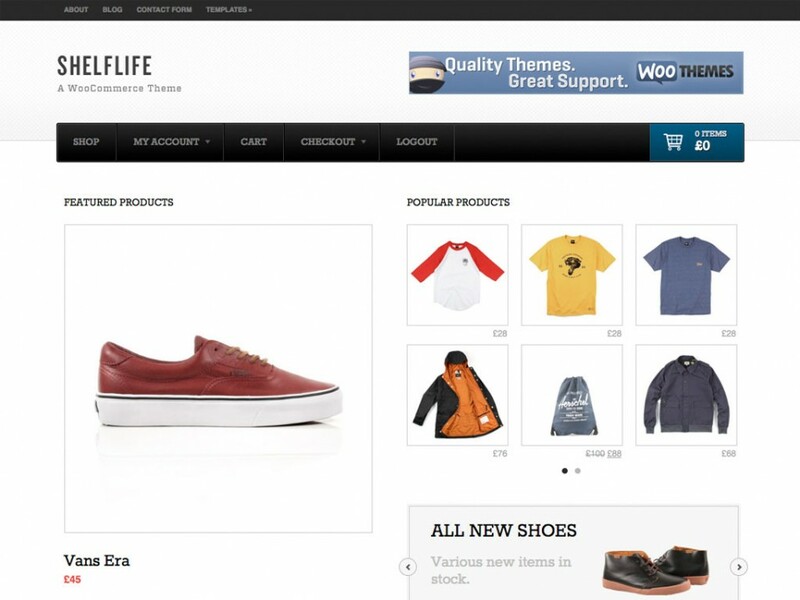 WooCommerce Goodness: Shelflife makes full use of WooCommerce and we’ve painstakingly married theme and plugin to provide a seamless front-end experience. Every single one of WooCommerce widgets has been lovingly styled to match the beautiful design, as has each key component of the plugin such as the product categories, product descriptions, cart, checkout and user account sections. Read all about the benefits of WooCommerce here. Custom typography: You can customize the typography in the theme to suit, and there is full support for Google Fonts in the font selector. By default it is using the Bitter font. Custom widgets: The theme has 1 widgetized sidebar and up to 4 footer widgetized areas, and as always comes with custom Woo Widgets (Ad Space, Blog Author, Embed/Video, WooTabs, Subscribe & Connect, Search, Flickr and Twitter). WooCommerce also includes an array of custom widgets.